I can't believe it's Christmas Eve, Eve! Where has this month gone?! I feel like the rest of the year is going to fly by with all the plans we have. Mike and I are at my parents house for the next week spending time with friends from growing up and family, then to his parents house to spend time with that side of the family, and then headed to a friends ski house (sans snow this year!) in Maryland for the New Year. So much to do, so little time but I am so excited for it all! 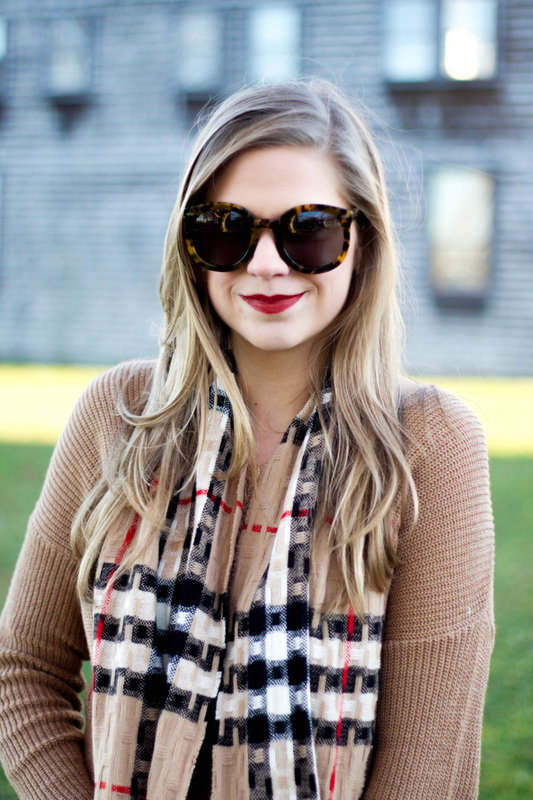 This sweater is the perfect neutral camel color that can go with pretty much anything! I realized recently that I didn't have any sweater that was this color so quickly picked this one up that is long enough to wear with leggings and doesn't break the bank! 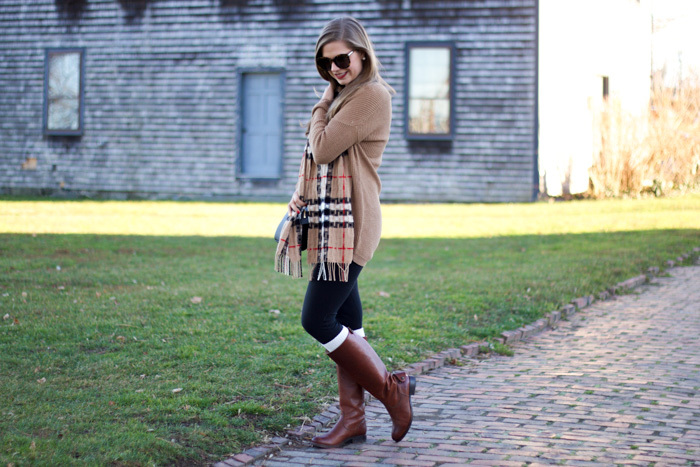 I paired it with my favorite riding boots and Burberry scarf to bring all the colors together for a casual afternoon of Christmas shopping!